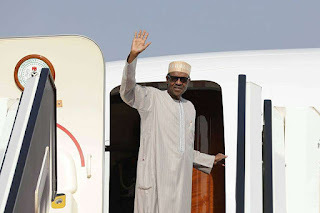 Nigerian Magazine: Buhari: The Real Messiah? In the books of many Nigerians, Buhari has scored good points in the last few months. Honoring the late MKO Abiola, to the signing of the not too young to run bill, his visit to Morroco and Tanzania are all part of the points. Beyond hearsay, these milestone achievements have been classified as a strategy to win his election in the coming year. However, placing reason against sentiments, he could have chosen another route to this which would be to buy the minds and heads of the average Nigerians and skim his way through. But as an Honorable man, he chose the road less traveled. Goodluck Jonathan towards his re-election period was barely guided on the steps to take. Buhari has taken calculated steps that would benefit Nigerians whether he wins or not. The not too young to run bill would be significant even to generations yet unborn and this is naturally a bill he does not stand to benefit from. Spiritually speaking, it is often believed that gratitude brings more. Nigeria is a country of over 190 million people with several foundational issues to tackle but taking active steps in the right direction should be applauded. As a propagator of enhancing bilateral and multilateral relations, Buhari has tightened his seat belt in preparation for this long ride. He has visited France, United Kingdom, India and other African countries, to discuss several developmental projects, economic strategies and solidify bonds for collective security. A man who is sensitive and attentive enough to have listened to the internal rage of many to relive their 1993 votes for MKO, he also granted the family a presidential apology and honorary posthumous award. Never has such a feat been carried out in the past 25 years by any administration. In all honesty, President Buhari’s accomplishments are under-communicated in the media. This could be a major ploy by the opposition to frustrate the efforts of an upright man. Imagine a laudable triumph such as the release of the 200 chibok girls who were withheld for about 2years to be regarded as unpopular. This is a clear indicator, that the opposition is threatened by his exploits. In Buhari’s words, he said “When I was told that the CBN had no savings after the windfall of selling oil for more than $100 per barrel for many years, and the production was 2.1 billion barrel per day, I did not believe them. This was the reason for the seeming delay Nigeria experienced when Buhari initially took over, fighting corrupt practices that exposed CBN empty pockets and enormous loans. Nigerians are generally unaware of the fact that the recession experienced in the first ten months of his administration was caused by over-reliance on crude oil, the neglect of agricultural sector and poor economic plans he inherited from Goodluck’s administration. Truth be told, the problem of the average Nigerian is the fact that they do not do adequate research in order to validate any administrations claim. If anyone does, it would be revealed the real messiah of Nigeria. Buhari really deserves a second term to perfect all that he's started. I can imagine what he would do in the second term. Well done sir. Nigeria needs a determined leader like him. He's handled the task of bringing Nigeria out of recession, he can do a whole lot more when Nigerians believe in him.